Martyrdom of Guru Tegh Bahadur is a memorial day observed on November 24 in some parts of India. It honors the memory of the ninth Sikh guru who founded Anandpur Sahib, a city in the state of Punjab considered one of the most sacred places in Sikhism. The Indian subcontinent is the birthplace of four major religions, namely Hinduism, Buddhism, Sikhism and Jainism. The founder and first guru (spiritual leader) of Sikhism was Guru Nanak. The nine Sikh gurus that succeeded him further developed his spiritual teachings. Guru Tegh Bahadur was the ninth and penultimate Sikh guru. Tegh Bahadur (born Tyaga Mal) was the youngest son of the sixth guru, Guru Hargobind. Nearing his death, Guru Hargobind named his 14-year-old grandson Har Rai as his successor. Guru Har Rai guided the Sikhs until his death at age 31. He was succeeded by his 5-year old son Har Krishan. Almost three year later, Guru Har Krishan died of smallpox before reaching his 8th birthday. On his deathbed, he said, “Baba Bakala”, meaning his successor was to be found in the village of Bakala. Many people claimed themselves as the new guru, but eventually Tegh Bahadur was anointed as the ninth guru of Sikhs. Guru Tegh Bahadur contributed many hymns to Guru Granth Sahib, the holy scripture of Sikhism. He also traveled extensively across the country to preach the teachings of Guru Nanak. The Mughal Emperor Aurangzeb tried to make the ninth Guru convert to Islam, but didn’t succeed. 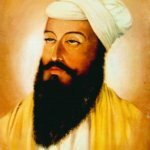 As a result, Guru Tegh Bahadur was executed on November 24, 1675. His death anniversary is a solemn memorial day for all Sikhs in India and abroad.